Social Media is no longer just about selfies and life updates, but now it is a place where your business needs to be. As of July 2015, there was a total of 3.17 billion users on the Internet, with 2.3 billion active social media users…and that number is only growing larger. Ninety-one percent of bands are using more than one social media platform. Lately I’ve been doing some work for a few different home services companies (heating/air conditioning, plumbing, electricians). Mostly social media management, reputation management and content curation for their websites. It’s a big leap from the equine industry, but it’s been fun learning about new things and helping to educate their customers to help them save money, save energy and learn a few new things to help manage their homes. The Water Heater: What’s the Difference Between Tankless & Traditional? Showers. Dishwashers. Clothing washers. Cooking. What do these have in commo n? They all rely on hot water, which comes from your water heater. But did you know there are two different types of water heaters? When the temperatures start climbing, all you can think about is getting the maximum comfort out of your air conditioning unit. So, instead of cranking up the air conditioning, turn on your ceiling fan. After all, increasing air circulation and air flow in your home helps circulate the cool air better, right? A sump pump is one of those household items you might never even consider, but if you have a basement, chances are your house has one. Ever experienced a flash flood and standing water in your basement? Well, if you have a sump pump, that’s when you learn about the effectiveness of the, rather slight, object. A lot of attention has been paid to the water crisis in Flint, Mich., which has led to a lot of questions about water and if water of any color (besides colorless) is safe to drink. What are some common complaints about abnormal water color? I invite you to do some research when you’re looking for a plumber or HVAC technician. Their websites provide a lot of information to help you fix the simplest problems, or to help diagnose bigger problems that will require their help. Below is my winning entry for the Time To Ride contest, highlighting one woman’s battle with clinical depression. Depression is like a dark hole, and there are days that you struggle just to see a glimmer of light. For some it can be crippling, but others find a way to fight through. They might do it on their own, with medication, or with the help of angels around them. For Marlise Langenhoven, her angels just came in the form of horses. Riding horses has been a lifelong dream for Marlise, but it was unreachable in her early years. Growing up in South Africa, horses and riding were for the more privileged. Marlise grew up moving around a lot with her family moving to the United States when she was 28 years old. She struggled through abuse as a child and multiple moves until she became an adult and married her husband of 20 years, Mark. Then came her first child, and the stressors of being a new mom and the new challenges the dynamic change brought about led to her diagnosis of clinical depression. “I was very depressed, on medications … having a hard time coping with life in general,” Marlise recalls. Then one day her daughter suggested riding lessons. “When she said that, my heart kind of sunk a little bit because where I come from, riding is a very expensive hobby, and my family couldn’t afford it at all,” she says. Still, she looked around her home in Murfreesboro, Tenn., for a place to just take one lesson at the age of 38. Expecting to only take one lesson, Marlise was hooked from the very first step and continued her lessons, even though she was one of the oldest riders at her first trainer’s farm. Marlise found that with every lesson, every little thing that she started getting right during her lessons, as a rider, pushed her to want to do more. She felt accomplished after every ride, no matter how small the gains were. After about a year, Marlise and her daughter moved on to their current trainer, Lauren Romanelli in College Grove, Tenn. In one of her early lessons, Lauren said something that hit home to Marlise. Then it hit Marlise that she needed to let go of all the negativity and early struggles, and just live in the moment. Marlise has also learned that life, like jumping, is about making adjustments as best you can as you go. Some days you ace it and other days not so much, but tomorrow, you tack up again, take a deep breath and try all over. It’s enlightened her and given her a new lease on life, a life without any more depression medication or extra weight. While her depression isn’t totally in the rearview mirror, she continues to manage it with exercise, riding, and therapy when needed. She attributes it all to her time spent in the saddle and in the barn, looking up and moving forward. Marlise enjoying competing at her first three-day event with a fellow adult rider in 2015. “I do think there is something to be said about riding and being around horses. That has really, really helped me,” says Marlise. “For me, at the barn it’s all about being in the moment—you focus on just you and your horse. There’s always something you need to focus on when you’re at the barn, and because you’re focusing on these little things while you’re riding, you shut out everything else going on. For that time, I am not a mother, I am not a wife, I don’t have responsibilities … all I have to worry about is in that barn—me and my horse. A few months ago I met an inspiring woman who allowed me to share her story for the “Time To Ride” contest, a writing contest to shine a light on a first-time horse experience that made a lasting impact on their life. It was my pleasure to be able to share Marlise’s story in hopes that others might be able to find solace in the darkness of depression. It was just an extra delight to discover I had won the contest. Below is the press release from TimeToRide.com. I’ll post the story soon. 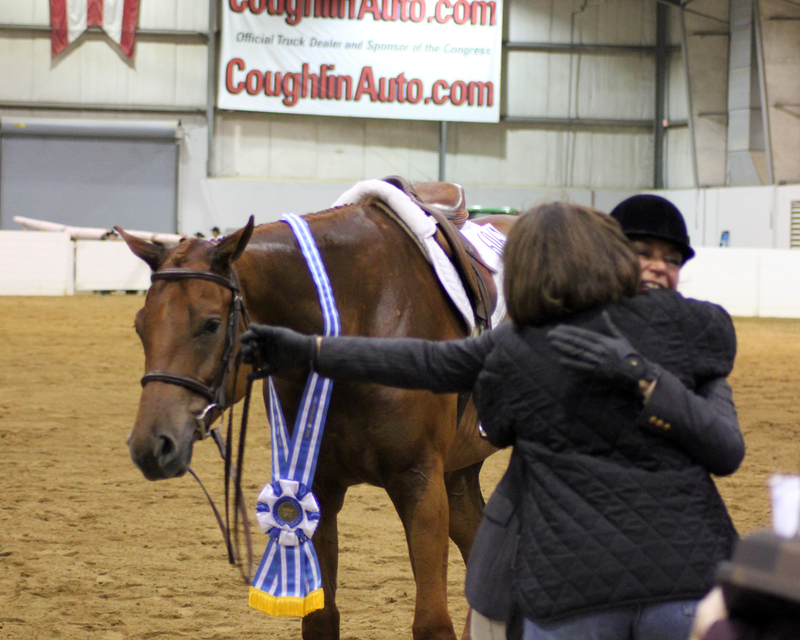 Washington, D.C., November 9, 2015 – Time to Ride’s freelance writing contest, inviting entries focused on a first-time horse experience that made a positive, lasting impact on someone’s life, has concluded by awarding the grand prize to writer Megan Arszman. 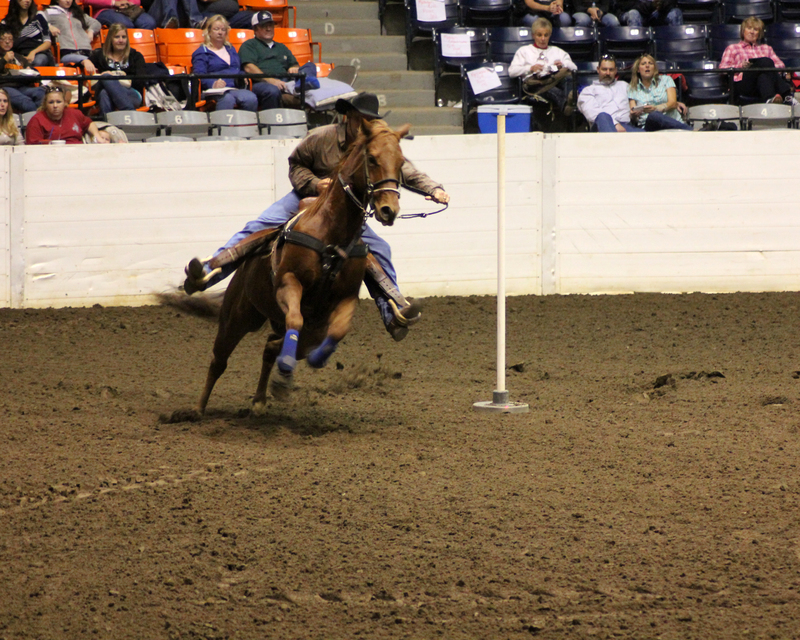 Earning honorable mentions and a Time to Ride prize package are Cathy Thacker and MacKenzie Waro. Time to Ride received dozens of thoughtful and beautifully written pieces exploring the magic experienced when one connects with a horse for the first time. 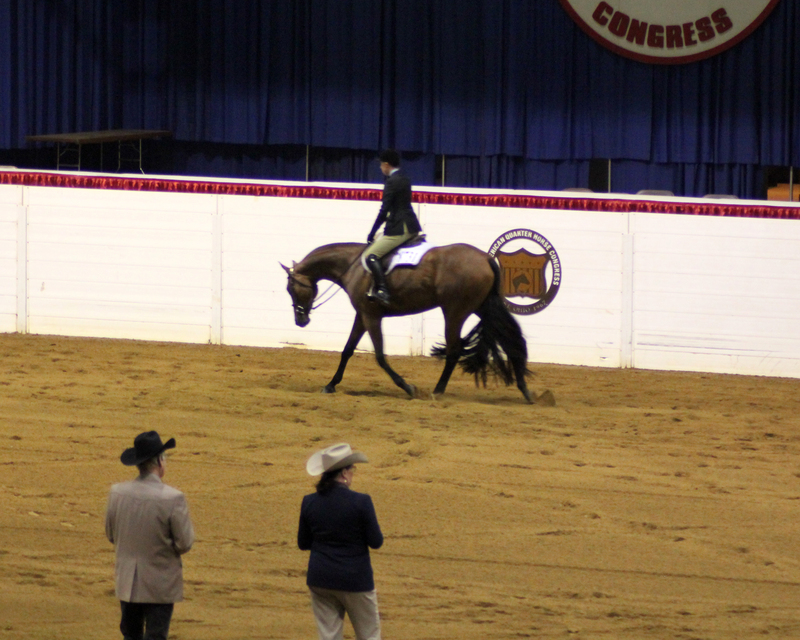 Arszman’s piece titled Not Your Standard Medication explores how one woman overcame clinical depression with horses by taking up riding for the first time as an adult. “Depression is like a dark hole, and there are days that you struggle just to see a glimmer of light. For some it can be crippling, but others find a way to fight through. They might do it on their own, with medication, or with the help of angels around them. For Marlise Langenhoven, her angels just came in the form of horses,” begins Arszman’s piece. Arszman explores how riding lessons, initially a request of the subject’s daughter, proved to be much more than a hobby. Langenhoven’s connection with horses helped her “end the victim cycle” and move forward with her life by providing a unique path to healing. Langenhoven is quoted: “My time at the barn was the joy of my life.” Click here to read the piece in its entirety. Second honorable mention honors go to MacKenzie Waro for her piece titled Just a Dream and a Challenge. Waro details how witnessing a powerful connection between one of her horses and a young girl caused her to consider her lifelong relationship with horses in a new light. 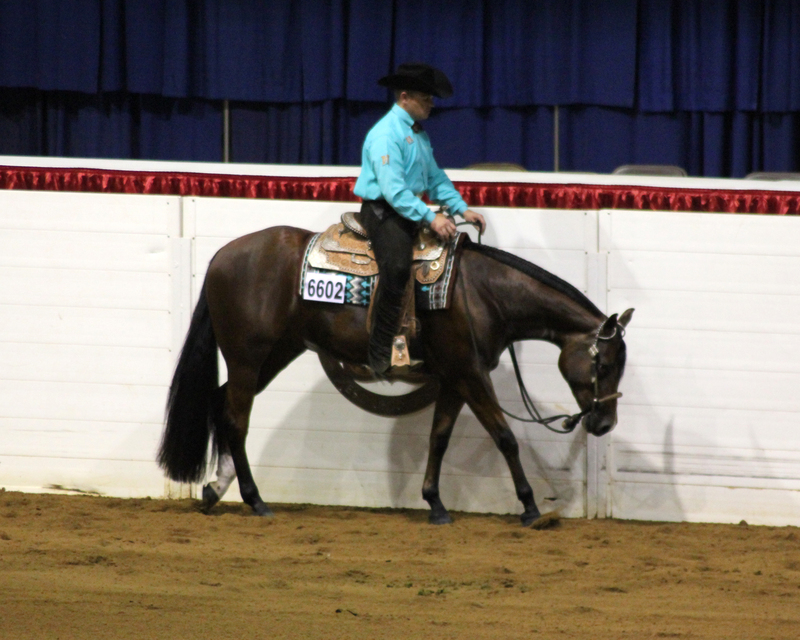 “I have been riding for 22 years, and it took a newcomer with a dream for me to see that horses are more than a teammate; they are our soulmates.” Click here to read the entry. “We are amazed by the touching entries and thank all the writers who entered pieces,” stated Patti Colbert, Time to Ride spokesperson. “These pieces are further proof of the horse’s amazing capability to connect with and change humans unlike any other animal. It’s why we call ourselves horsemen and why we are so dedicated to helping new people discover the joy of horses.” Time to Ride will be publishing excerpts and entire essays from the contest at www.timetoride.com. Please visit the website to learn more about connecting new people to horses, and find a map of stables and other equestrian resources for newcomers.